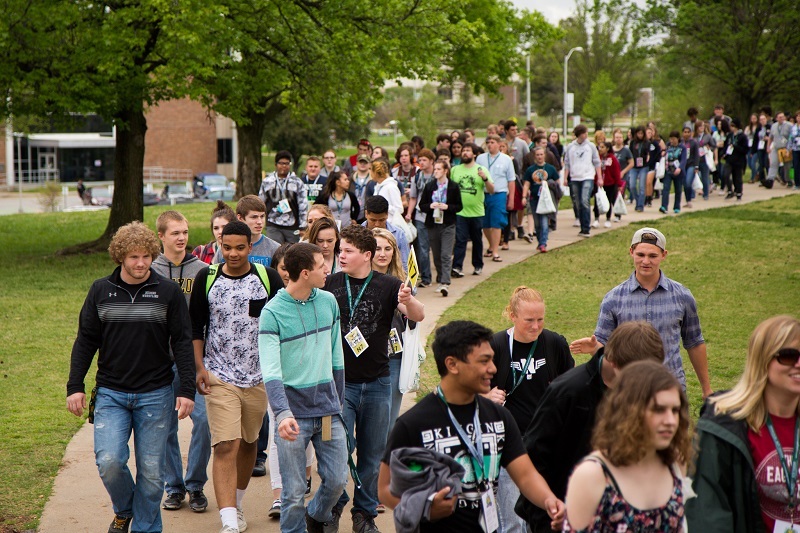 More than 2,500 area high-school students and teachers will gather on the Missouri Southern campus for Sophomore Day on Wednesday, April 19. Students will arrive beginning at 8:30 a.m., with the opening ceremony starting at 9:15 a.m. in the Leggett & Platt Athletic Center. Students will be broken down into groups to tour the campus and learn more about the wide variety of programs offered. Members of the faculty and staff will offer brief presentations at each stop. The closing ceremony will begin at 1:35 p.m. in the athletic center. Participating school districts include Joplin, Webb City, Carl Junction, Carthage, Aurora, Neosho, Jasper, Monett, Diamond and Logan Rogersville.